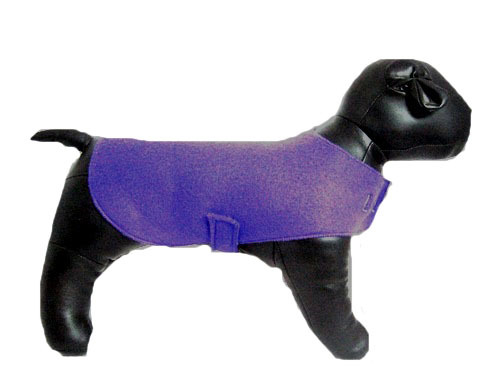 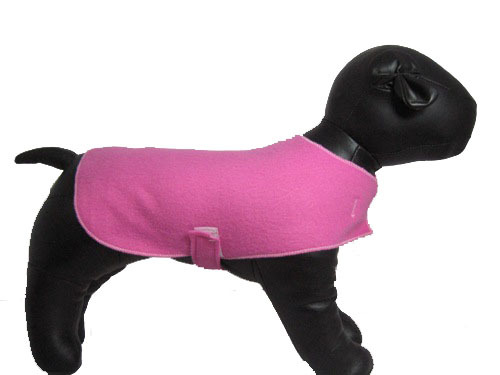 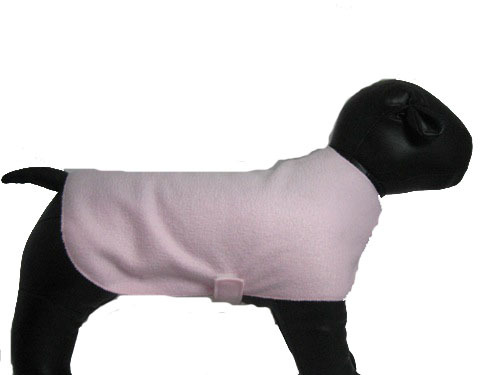 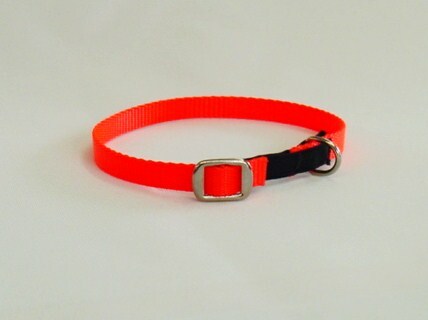 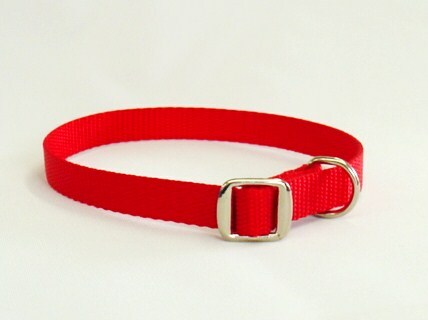 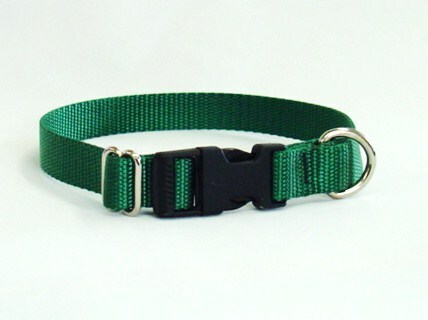 All nylon products are designed for the comfort of your pet and are made in the United States! 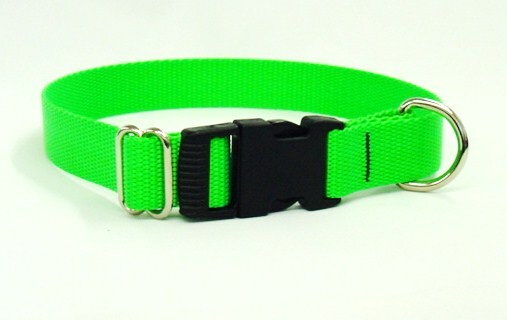 There are no sharp edges on the nylon and all adjustment pieces are metal so there is no chance of unintentional adjustment. 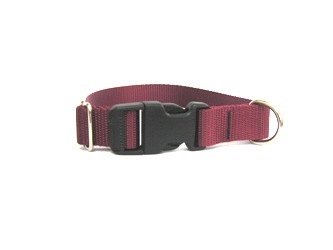 All plastic side-release buckles are durable, long lasting plastic and are appropriate for everyday wear and walking your pet. 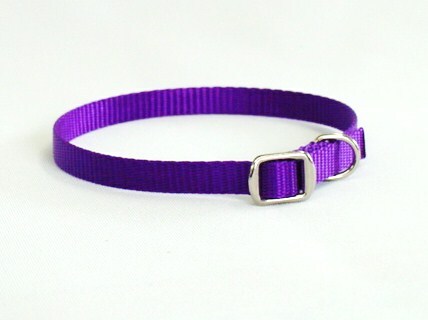 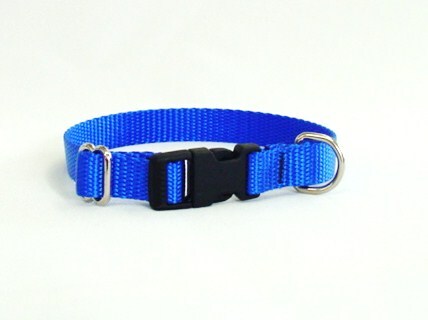 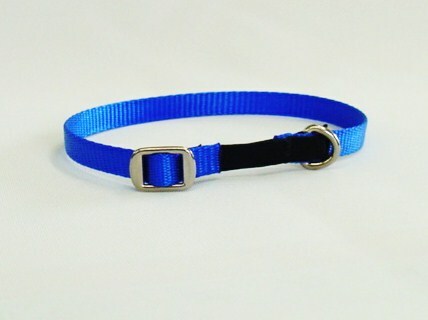 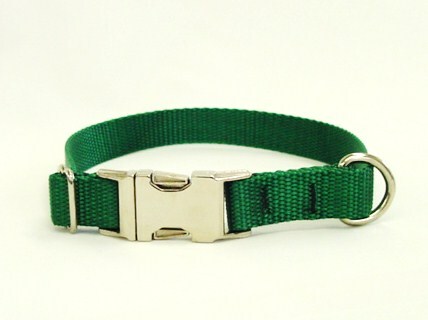 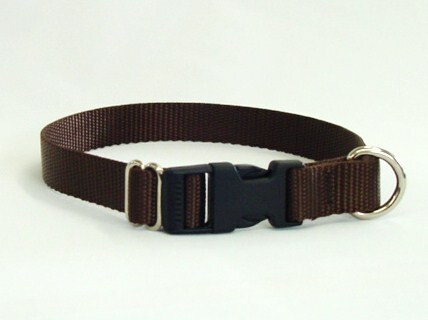 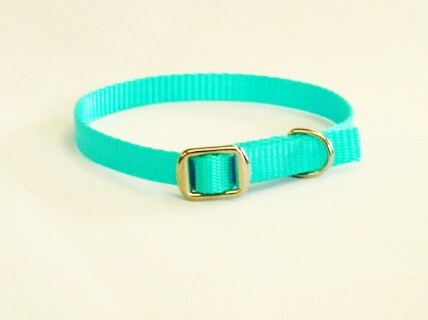 The metal side-release buckle is appropriate for dogs that are tied outside for any length of time. 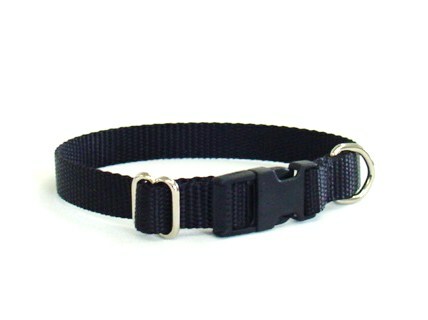 All D-rings are welded metal for strength.